Save money and eat healthily. After years of growing my own fruit and veg in window boxes and on sills, I have found that some plants are better than others for indoor growing. As I work full-time, I also needed plants that wouldn't take too much time, or die if I failed to water them precisely on schedule. For this article, I am focusing on plants that are compact, relatively low maintenance and that fruit all year round: suitable for a beginner or someone who hasn't considered this before. While there are many dwarf varieties of trees: citrus, cherries, even pomegranate, I'm not covering them here. Almost all of them are designed for patio growing in containers, and are too large to be brought indoors. The challenges facing a gardener who has somewhere outdoors to work with, even if it is a square of concrete, are very different to those facing someone on the twentieth floor, with windows that hardly open. 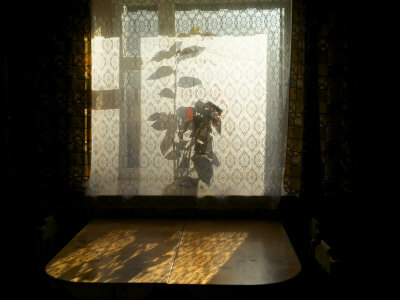 This article therefore focuses purely on plants that can be grown entirely indoors. These citrus trees produce a small fruit, rather like an tiny orange. However it is sour and tastes like a lemon (good with sugar on pancakes!). It is ideal for growing indoors in cold climates, or if you don't have access to a garden. Its growth can be restricted simply by keeping it in a small pot, and if kept well watered, it can fruit all year. Like most citrus it does like a lot of light, and needs to be kept warm for best results. Small plants can fit on windowsills, while larger versions can be used to replace ornamental trees or free stand in corners. It does not drop leaves often and is an easy plant to keep tidy. The flowers are attractive, so it can also brighten a room up nicely. Nutrition-wise, it is a very healthy fruit, high in vitamin C and other benefits. Many of these plants can be bought as adults, so you can instantly get fruit from them. However you can also buy seeds to grow from. This is not fast - while for a strawberry you can wait a year for fruit, for a citrus it might take six. So shy grow from seed? First, grafting. While grafting fruit trees onto sturdy root stock is normal, less ethical grafters will take the end of a fruit bearing limb with no growth buds, graft it onto a mismatched or poor quality root stock and expect it to last a year. These can be twisted onto concealed frames to make sure they look like trees, and aren't healthy. Second, pests. Adult plants can come with pests like aphids or scale. If you grow from seed yopu can keep the growing environment largely free of these, which reduces any chance of these problems showing up. Finally, seeds can be had for free. I have an avocado and several tangerine trees on a window sill, by saving seeds from lunch. This type of fruit rarely breeds true, so in a few years I'll be very curious to see what their fruit is like. If you are used to the huge fruit you see in the supermarket, the Alpine strawberry can be quite a shock. The fruit are small, bright red and covered in red seeds.They are also exceptionally sweet. The reason I recommend this particular variety is that it doesn't normally runner, and if conditions are correct it can produce fruit all year round. An alpine strawberry plant should last at least six years. They are usually fairly compact plants, but can become quite large, and you should trim dead leaves regularly to encourage it to grow. I prefer a sharp pair of scissors to cut the dead leaf off at the base since ripping it can damage the plant. Hardy, easy to take care of, and ever-bearing. The best thing about them is that fertiliser is simple and organic: tea leaves. Like all strawberries, Alpine strawberries love nitrogen, and used tea leaves contain plenty of it. Just don't over-fertilise or it will produce a lot of folliage and no fruit! Kumquats are often confused with Calamondin, although not by those who have tasted them! Kumquats produce yellow/orange fruit with an oval shape, thick rind and a sweet taste. 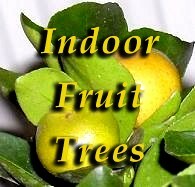 Like the other indoor citrus plants they can fruit year round if treated properly. Although their size can be restricted by the container, this will also affect the amount of fruit they produce, so you might find you do better with this one standing in a corner than on a window sill. Full size lemon trees, their growth can be restricted by keeping them in a small container. A "sweet" lemon (to go with the Calamondin's sour orange) they are popular among some home growers. I will mention that I am not a fan. The first fruit on mine has only just turned yellow in the months I've owned it, while the other fruit plants have produced multiple crops. In proportion to its crop, it takes a lot more looking after. It can also be prone to scale, an annoying citrus pest which encourages ants to visit the plant. You can grow raspberries indoors. These are not ever-fruiting, although you can encourage a second crop, but the leaves can be used for raspberry-leaf tea. However, this isn't really one for a beginner as the plant can get rather large, and to produce fruit requires manual fertilisation (rubbing the flowers together, or using a paintbrush to transfer pollen from one flower to the next). If you are fond of raspberries you can try it, but this is a much larger commitment. The same is true of gooseberries and many other fruit bushes. While you can grow them indoors, they are a lot more work than the plants I've suggested above. Would you try growing your own fruit indoors? Do you think growing your own fruit indoors is for you? I don't have to, I have a garden! I bought a meyer meyer lemon tree about a month ago. It came with nearly a dozen little lemons on it and had bloomed profusely, creating some of the most pleasing and aromatic flowers I have come across in my nordic area. It is truly a fascinating tree as it is no more than a foot and a half tall. Most of the originals lemons have fallen off, to be replaced by the new lemons (whose flowers i cross-pollinated manually). While the lemons have grown fat, they have yet to turn yellow, and in the weeks that i have placed in outdoors to soak up the sun, it has also stopped growing. Still, I'm really happy with my Meyer lemon. Also, alpine strawberries sounds like an amazing idea! I'm tickled at the thought of having perennial, 6 year-old strawberry plants!